We developed a set of training materials that were “out of this world”. 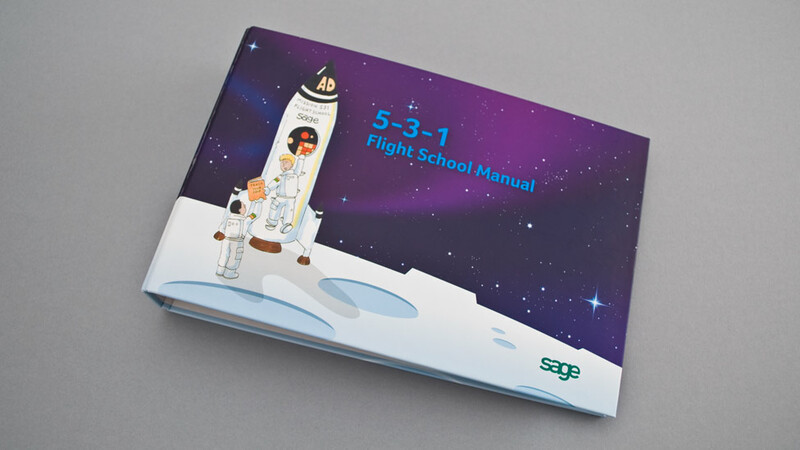 The Sage Flight School training materials were developed to help each employee understand the Accounts Division’s strategy and the role they must each play to achieve its aims and objectives. Sage required a solution that would get across all the technical aspects of the strategy, but was also visually engaging. 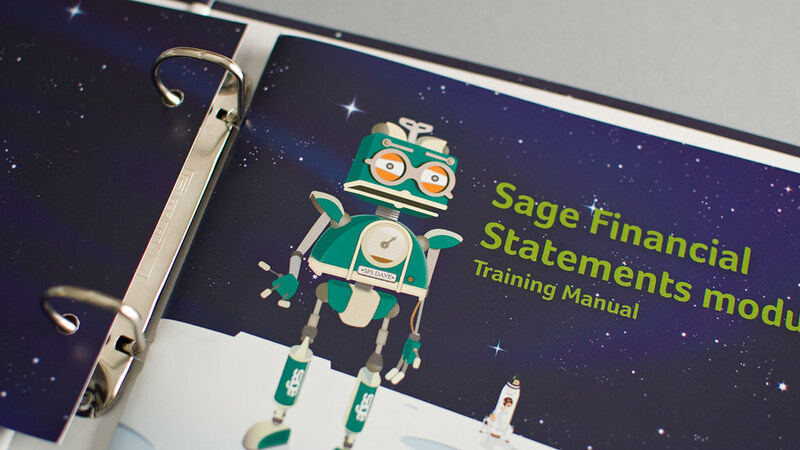 We created a space theme illustration for the training materials and used a spaceman as the central character to introduce and help explore all the different aspects of the strategy. We also recommended a modular system for the training manual to allow employees to add their own notes and experiences. The final product was printed, collated and delivered in sealed packaging and stored in a locked room within Sage a couple of days before the Christmas break. Our client then waited until everyone had left to celebrate Christmas and then placed the finished kit on staff desks – a great way to start the new year. 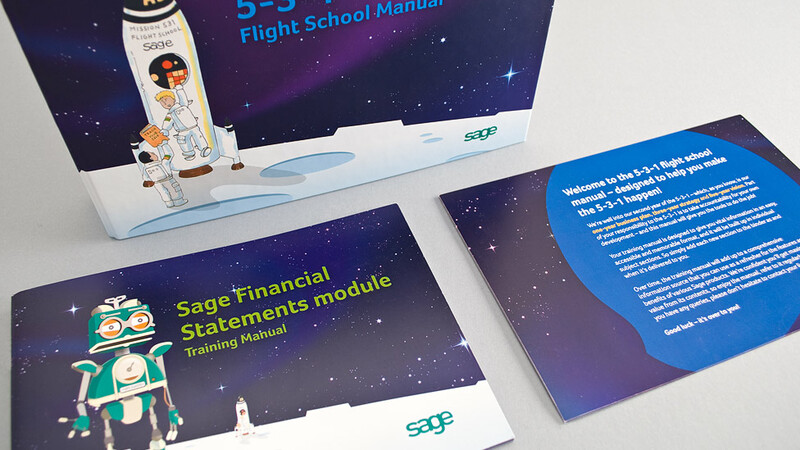 Our client was overjoyed with the final training collateral materials, with one employee commenting that the materials were “out of this world!”.